Park near the Hawsen Burn in the Harthope Valley (NT954225). Follow the valley road for 200 metres to where a signpost directs the way to the Cheviot and Scald Hill. With the New Burn to the right, a clear narrow path leads eventually to the ridge across the top of Scald Hill. The path continues to follow the fence into a short and often sometimes boggy depression before climbing sharply to the summit plateau of The Cheviot. 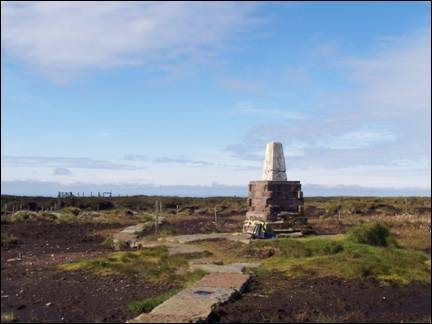 Cross over the stile and follow the millstone pathway to the summit trig point.